Stella, April, Jaala Pulford, David Blair, Tessa and Sally Brennan. 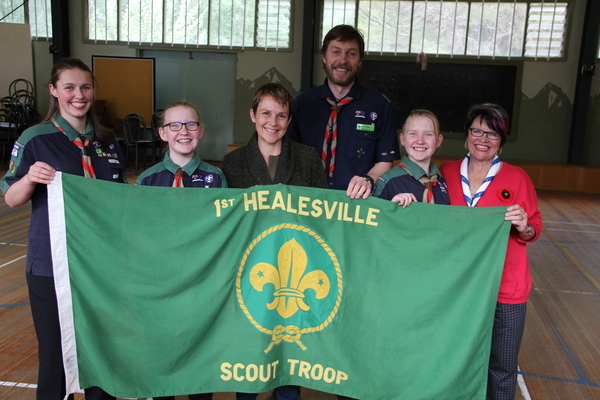 Healesville Scout Hall will receive 2500 sausages worth of upgrades under a re-elected Labor State Government. Regional Development Minister Jaala Pulford visited the hall alongside Labor Eildon candidate Sally Brennan on Wednesday 7 November. They announced the $7500 pledge, which Scouts Victoria would match the funding with community partners. Scouts Victoria manages and maintains the hall, which is also available for local activities and events such as dance classes, community theatre rehearsals, birthday parties and fitness classes. “Scouts give kids the chance to make friends, learn new skills and develop leadership skills,” Ms Pulford said. Scout Dorothy Salter said the group recently diverted funds from a much-needed kitchen renovation to install reverse-cycle heating and cooling. She said the new funding would help to renovate the kitchen and would mean a little less fund-raising was required. “It’s a lot of sausages,” she said. Dave Blair said the group had about 40 members across cubs and scouts. “The kitchen’s been needing a renovation for years,” he said. 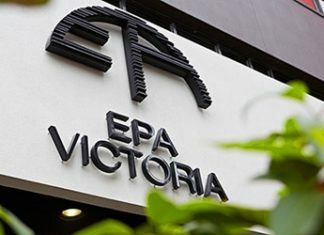 Anyone interested in getting involved in Scouts should visit scoutsvictoria.com.au to find their local troupe.